Brooom Brooom! 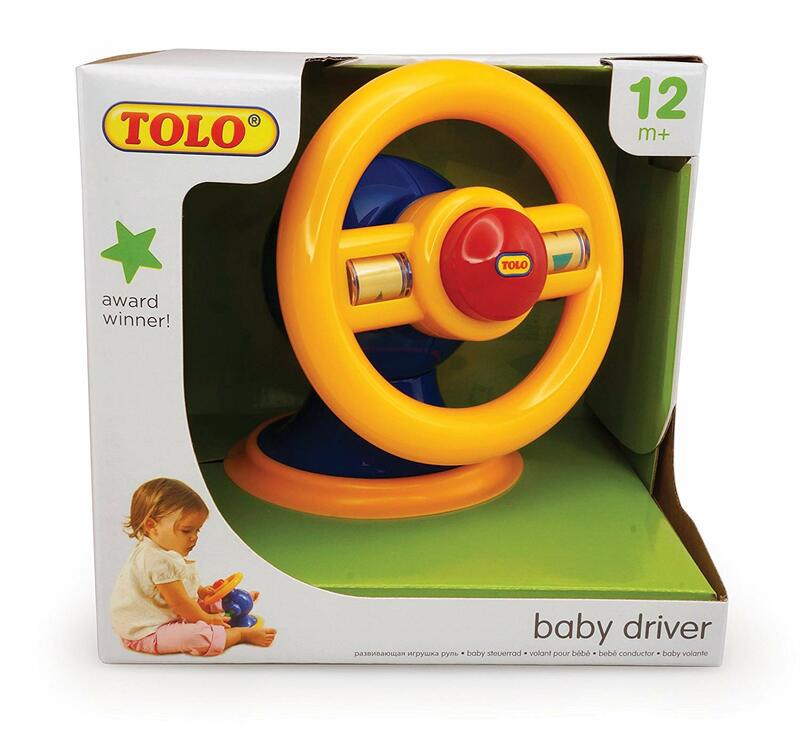 The Tolo Toys Baby Driver would be a fun addition to your babies nursery! Clicking, Moving Gear Stick. Squeaky Horn. Turning, Rattling Wheel, Spinning Arrows. 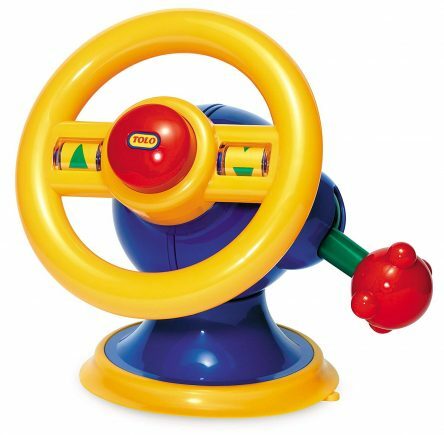 The suction cup base and adjustable steering wheel make this a great educational toy. So many fun features! With realistic moving pieces, the Baby Driver is a great way to encourage fine motor skills and coordination. 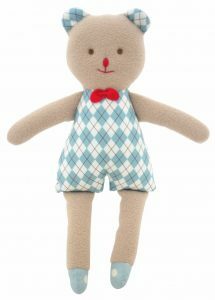 Ideal for enhancing fine motor skills and an understanding of balance.